If you're wondering which eye diseases you ought to be concerned about, you can put glaucoma relatively high on your list. This optic nerve problem is the second most common cause of blindness in the world, and the damage it does cannot be undone by current medical science. But glaucoma can be detected early and brought under control. Here at Wichita Optometry, we're proud to offer skilled, effective care for glaucoma in Wichita KS. Glaucoma is a term which actually includes a number of different disorders that damage the optic nerves. 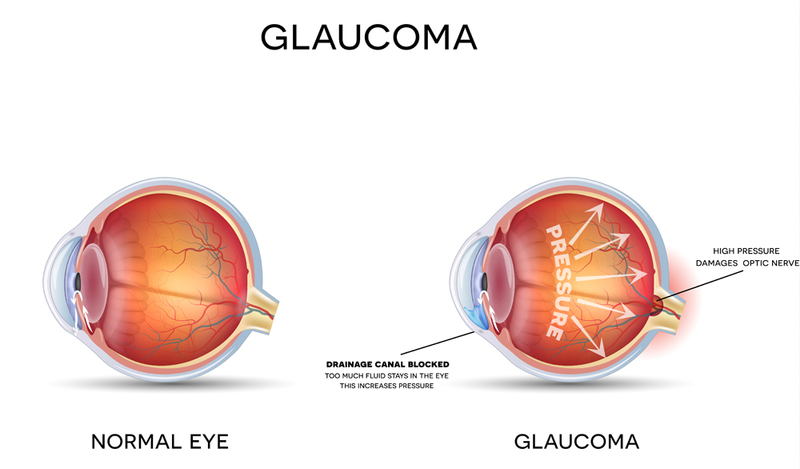 Most commonly, glaucoma is related to elevated fluid pressure. Your eyes constantly make a type of fluid called the aqueous humor, with the excess draining out through special "ductwork" at the angle formed by the iris and conjunctiva. If this drainage doesn't occur as it should, a condition called ocular hypertension develops. The internal pressure rises until the fibers of the optic nerve sustain permanent damage. Most glaucoma sufferers have open-angle glaucoma, a slow-developing problem in which drainage is too slow. But some are vulnerable to angle-closure glaucoma, an emergency situation in which the drainage stops completely, causing rapid and serious damage. Your risk for glaucoma rises if you're over 40, Hispanic or African-American, you've had previous eye injuries or eye surgery, you're on corticosteroids, or you have diseases such as diabetes or high blood pressure. But anyone, even children, can get glaucoma. Open-angle glaucoma may not even alert you to any symptoms until your peripheral vision starts to go -- by which time, a lot of damage may have been done. The first step in sparing your vision from the ravages of glaucoma is preventative care in the form of annual comprehensive eye exams from any optometrist on our team. Your eye doctor in Wichita can use tonometry to check your eye pressure, as well as vision testing to check your peripheral vision. If you do have glaucoma, medicated eye drops can help enhance fluid drainage and/or reduce fluid production, thus minimizing further damage. Oral drugs can supplement eye drops if necessary. We can even refer you to laser procedures such as trabeculoplasty if you need extra help managing your glaucoma. Protect your optic nerves, your vision, and your quality of life against glaucoma, starting today. Contact Wichita Optometry at (316) 942-7496 to schedule an eye exam and get any treatment you might need for glaucoma in Wichita KS. We can help you hang onto your eyesight!